Available in Regular,Sensitive,White,Black and Red/Brown Coat type. 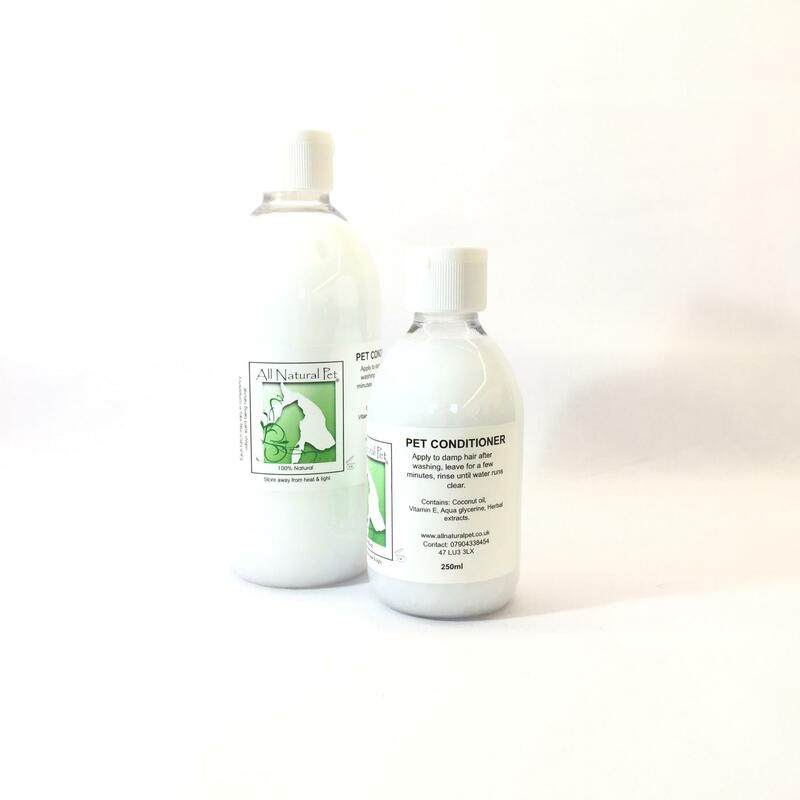 A moisterising natural conditioner to use alongside the shampoos, containing vitamin E to keep the coat soft and tangle free. Contains- an aqueous sage and chamomile base with coconut wax, Vitamin E, natural Thickeners, Essential oils and natural colouring. Our puppy is a bichon jack Russell cross so his can be a little wild. This conditioner always leaves his coat soft and easier to comb.